mama elephant | design blog: Balloon Letters with Laura! Hello there! Laura here and today I have a fun card featuring the Balloon Letters stamp set as well as the coordinating Balloons Et Cetera set. I combined it with the cute boy from In My Heart to create this adorable love note. Here's a little video to show you how I created my card. Such an adorable card Laura, I love it. Lovely card!! Thank you for another great video. Love one layer cards! I just adore the new balloon sets. 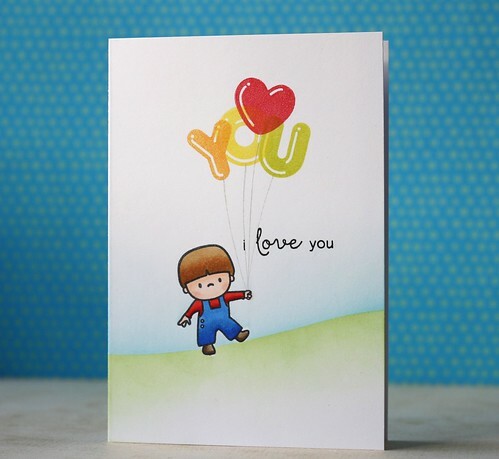 Love this one layer card! Cute balloons and image, and beautiful inking and coloring! Super cute! Love the soft background and the balloons! 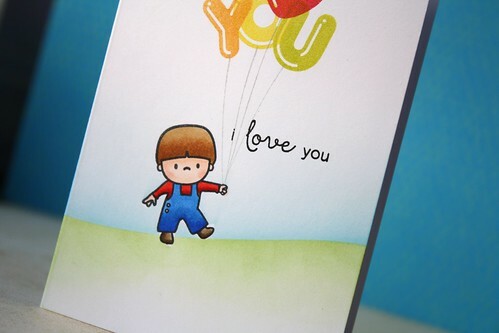 Adorable card, perfect coloring! Love it!! !